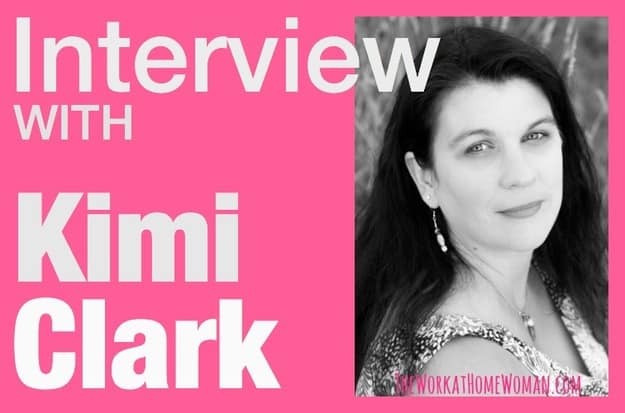 Kimi Clark is a career stay-at-home mom turned writer and blogger for hire with a passion for business. She specializes in posts about writing, blogging, and entrepreneurship, as well as all things parenting and motherhood. She's the owner and founder of The Mom Shopping Network. Read on to see how this mom got started. I actually was bitten by the entrepreneurial bug almost nine years ago, right after the birth of my fourth baby. 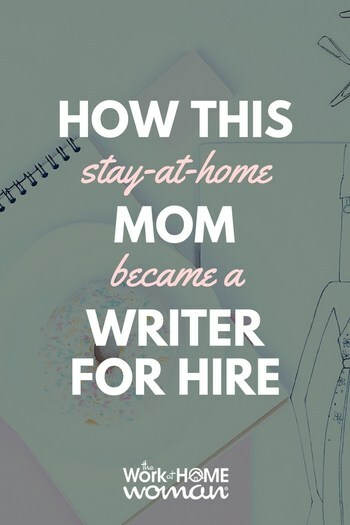 I had been a stay at home mom at that time for about 14 years, and loved it (still do!) but strangely found myself wanting more. I became obsessed with interested in learning everything I could about business. Since you wear a variety of entrepreneurial hats — which jobs/tasks are your biggest earners? Although I've been at this for a little while, I've had some major twists, turns, and stumbling blocks along the way … even taking a break altogether a couple of times to pursue another venture (AKA a JOB). So that being said, I'm still in the process of building and growing my most recent gigs which are my own blog and my freelance writing career. Give us an example of how you landed one of your first freelance writing clients. You're going to love this answer: I asked! I sent a simple, friendly email about myself and what I could contribute to their business (blog), along with a link to my portfolio. I also keep an eye on the sites I frequent in case they're ever in need of a freelance writer/blogger. How are you currently growing your home business? For me, to feel like my business is growing and I'm actually accomplishing something (rather than just spinning my wheels … anyone? ), I have to see tasks getting done. I'm working on sticking to my schedule and makings sure I get the most important projects done first. Also, social networking is a must … and it's kinda fun, too! What’s your number one source of blog traffic? Recently I've been participating in giveaways through other blogs, and that's helping to grow my audience as well as my social media followers. A planner and post-it notes baby, LOL! Seriously, I write EVERYTHING down, or else it doesn't get remembered, let alone completed. I use my planner daily and try to have things scheduled out for the week ahead, some tasks for the month ahead. I use post-its for the little to-do's that I can jot down and stick near my laptop, and my main to-do list for my household activities/events/and kid stuff that are going on that day. What has been your biggest struggle as a home-based business owner and blogger? Definitely time. Time to work, uninterrupted, and in peace and quiet. With four kids we always have varying schedules and I often have to leave what I'm working on and be Taxi Mom and take this or that kid here or there. Challenging for sure but I wouldn't trade it for the world. I'm blessed to be able to be home for my kids and pursue what I love. Thanks Kimi for sharing your story!